Episode #71 – Success Really Does Start Today! Summary: Just get it done. Today’s choices get you to tomorrow’s goal! But in the real world complaints get you no where. Well, I’ll clarify. If you are in the complaint business, meaning you are a “complaint profiteer”, or in other words a role model or social media “star” that is paid as a persona to only complain – then yes, complaining gets you everywhere, but where does it get your followers? Exactly. They stay stuck. Complaining today results in no progress tomorrow. If everyone would look at the inspiration I chose for today… and simply realize that the decisions you make today really do shape your tomorrow, the complaining would stop. It’s quite empowering. Here’s a perfect example, when you get to the end of the week (and we’ve all done this) and say… I really wanted to get X done but just didn’t have the time. Stop it! You’ve got to look at the beginning of the week and say… Accomplishing X will allow me Y and Z by the end of the week. I’ve said it many times on starting your blog, vlog, or podcast – if you just start today, and commit to writing two entries a week, by next month you’ll have 8 posts! 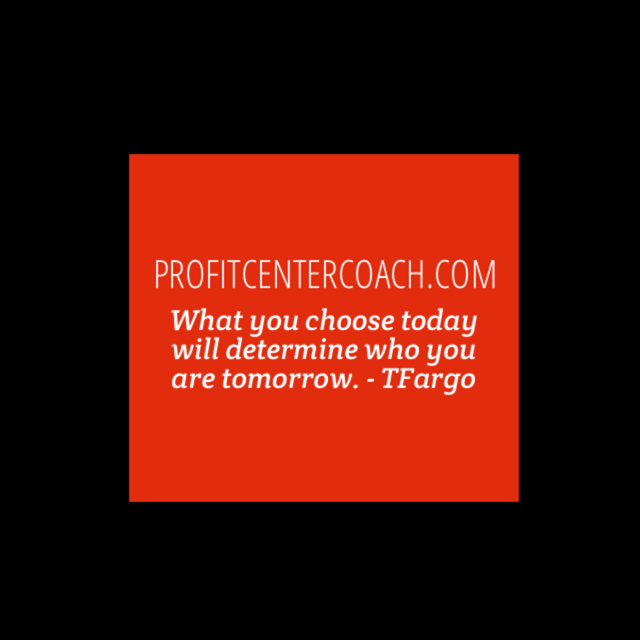 Today’s choices get you to tomorrow’s goal! Here are two good articles on BigFishIdeas.com: Goal Achievement and Motivation for Small Business Owners. Write down the things you need to get done and just do them! I say to write them on a piece of paper – don’t use your “device” – the paper you have to carry around and it gets annoying and you want to throw it out, but can’t until the goal is accomplished! It’s kind of like a grocery store list… once you make it, you remember everything on the list! PS: How’d you like this post? If you did like it… go ahead and “like” it! 1- What is one thing you’ve been putting off? It’s probably in your business, and probably has to do with social media… (haha) – but today… identify the one thing that you have wanted to get done, but it’s not so urgent that you’ve been able to let it slide. Write that down on a piece of paper. 2- Make a plan to get it done. 3- Despite everything else, put it to the top of your “to do” world and just get it done.